Could Your Dental Fillings Be Causing More Harm Than You Think? As a holistic dental practitioner, my view of each patient extends beyond the teeth and mouth, and takes into account each body system and how everything I do seeks to maintain balance and whole-body health. This means anything from using distilled water in our chairs, to using bio-compatible materials in procedures. It includes encouraging proper nutrition and keeping our patients SAFE from toxic chemicals. As we approach the new year oftentimes our thoughts turn towards improvement and “new beginnings.” This coming year let’s consider these resolutions in terms of CLEANSING and DETOXIFYING our bodies! You have likely read on my website or in previous newsletters that my practice is committed to being “Fluoride Free” and “Mercury Safe” by treating patients without using heavy metals in our procedures. One of the biggest offenders is mercury, which is often used in fillings, and has long been known to contribute to a number of chronic diseases and certain acute neurological disorders of the body. Bottom line, it’s BAD. 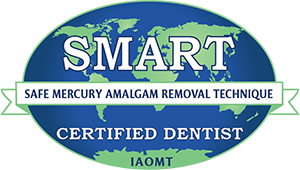 These days you will likely hear fillings referred to as amalgam, which is made in part with MERCURY. 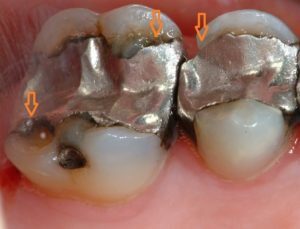 What many patients are not aware of is these mercury-based fillings can be more dangerous coming out than while inside their mouth! When these fillings are removed, oftentimes they will simply be “ground up” and essentially vaporized using a high-powered dental drill. While this method is usually quicker and easier, it creates health problems for both the patient and practitioner. When vaporized, these particles are absorbed much more readily by the body, making precaution even more critical. The contaminated air can come in contact with the skin/eyes, or be inhaled into the lungs, and debris can be easily dislodged and potentially swallowed. I would not be a good holistic practitioner without recommending a natural DETOX, which is designed to BIND and REMOVE heavy metals like mercury and fluoride from your body. Fillings are a major source of mercury toxicity, but there are many ways heavy metals can enter our bodies. This is why it is so important to give our body every chance to rid itself of such pollution. In my opinion, nothing does this better than the good nutrients and powerful phytochemicals found in herbs, plants and vegetables. 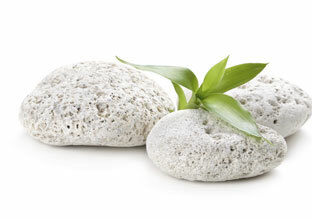 I have posted a Green Heavy Metal Detox recipe we use in our own family HERE. My wish is to help you live a cleaner, healthier, more confident life in 2016 and to have a growing awareness of your whole-body health through holistic dentistry. Comments Off on Could Your Dental Fillings Be Causing More Harm Than You Think?